It wasn’t just the mirrors. The British like nothing more than talking about the weather and basking in unexpected sunshine. 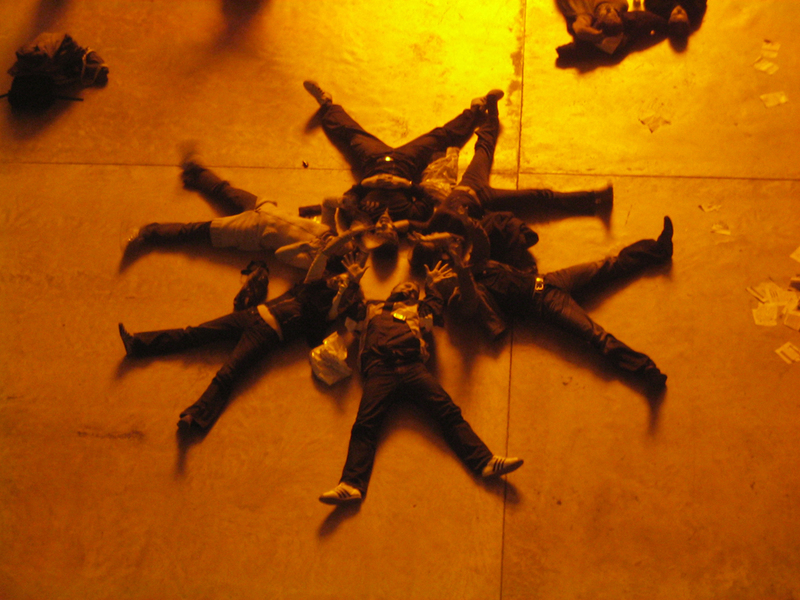 Give us both and call it art and we’re very happy indeed even if we know the sunshine comes from light bulbs. We don’t even mind that the air’s a bit foggy (although I do remember a friend’s outraged “you mean there’s calories in that art!” on discovering that the clouds were formed of sugar solution). It turns out that if you give us a mirrored ceiling you also give us an excuse to lie on the floor and watch our own reflection. Which of course means making a reflection that’s in some way worth the bother. 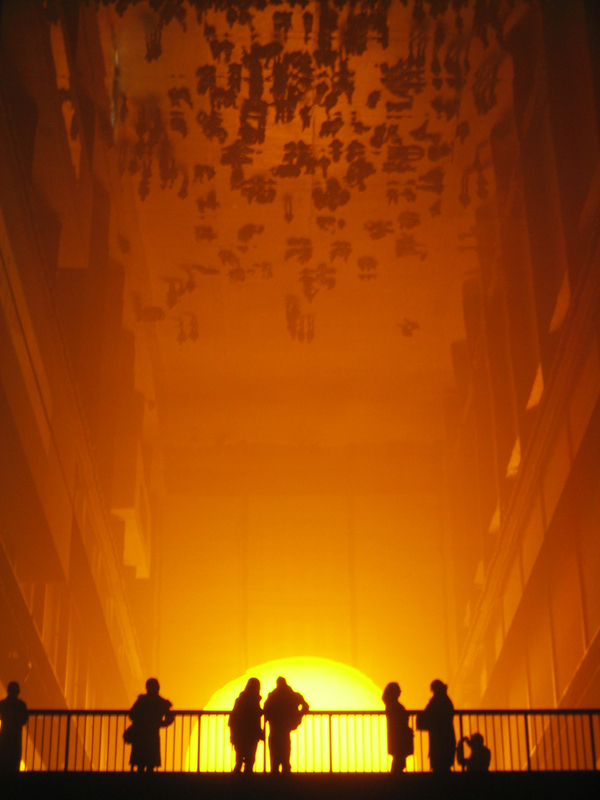 The extraordinary thing about The Weather Project was that it turned the cavernous Turbine Hall into a social space in a way that previous installations hadn’t. Some subsequent ones have come close; an had it not be roped off for health and safety reasons, it’s pretty certain Ai Weiwei’s Sunflower Seeds would have worked in much the same way. 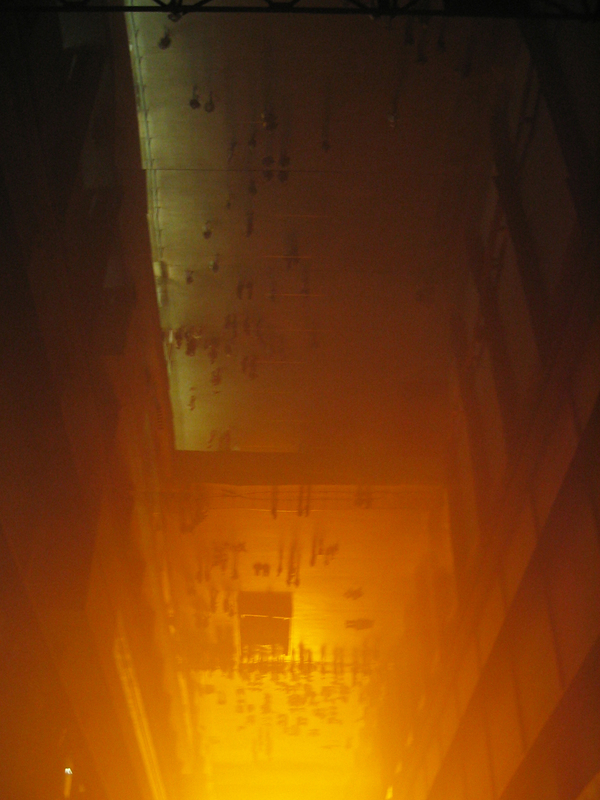 The oddest part of the success ofThe Weather Project was that the glow of the sun and the fog of the clouds combined to give the space a slight apocalyptic air. En masse – and it really was en masse, I’m not sure the space has even been quite as crowded on such a regular basis since – we seemed to choose to set this aside and play. 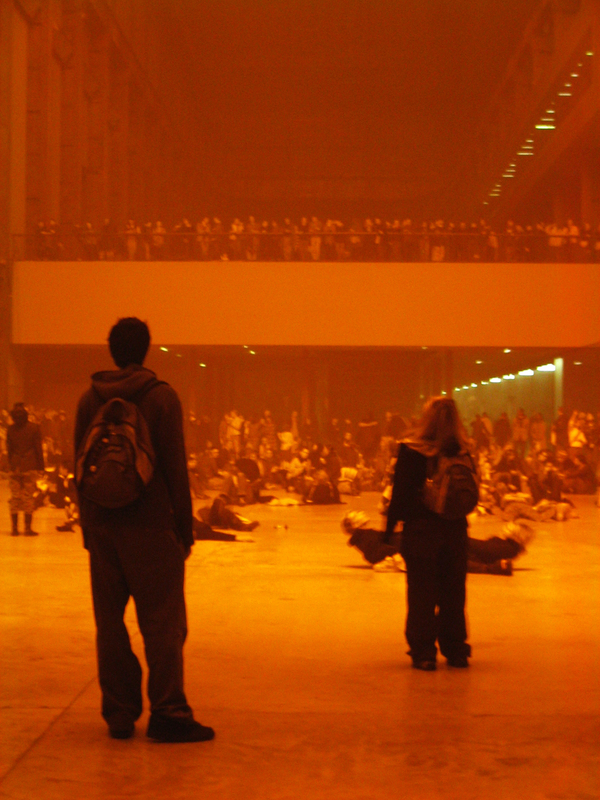 The Turbine Hall is clearly a difficult space. There are few artists whose work is ever likely to inhabit it successfully and yet somehow the commissions usually do work pretty well (and I’m really intrigued to find out how Tino Seghal will deal with it this year). Of all the installations made for it so far though, I think it’s The Weather Project that I loved the most, and that I visited the most. I haven’t seen much else by Olafur Eliasson in real life – I did see a show of his in a gallery in New York a couple of years ago and, though much smaller, that was intriguing and disorientating in a similar way – but he’s definitely someone whose work I’d go out of my way to see given half a chance. 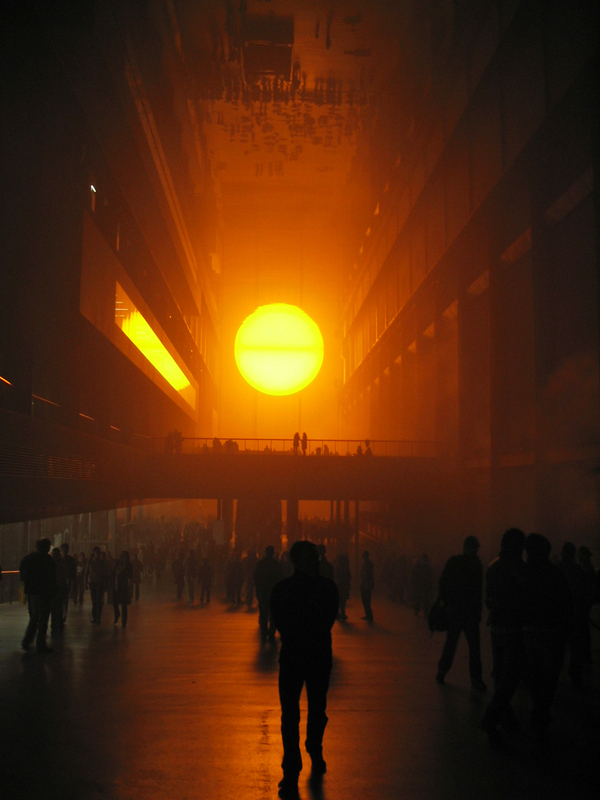 This entry was posted in Installation, Public Art and tagged art, installation, Olafur Eliasson, Tate Modern, Turbine Hall, weather, Weather project by Ann Jones. Bookmark the permalink.